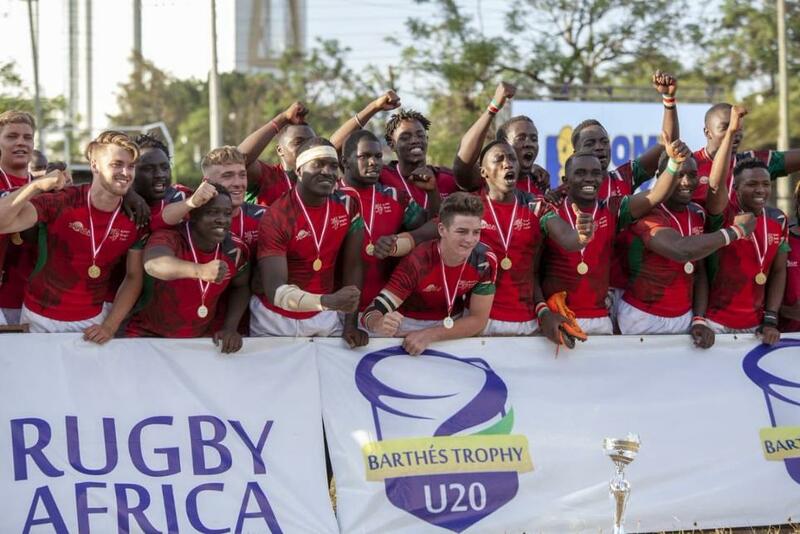 Kenya will once again feature in the World Rugby Under 20 Trophy. 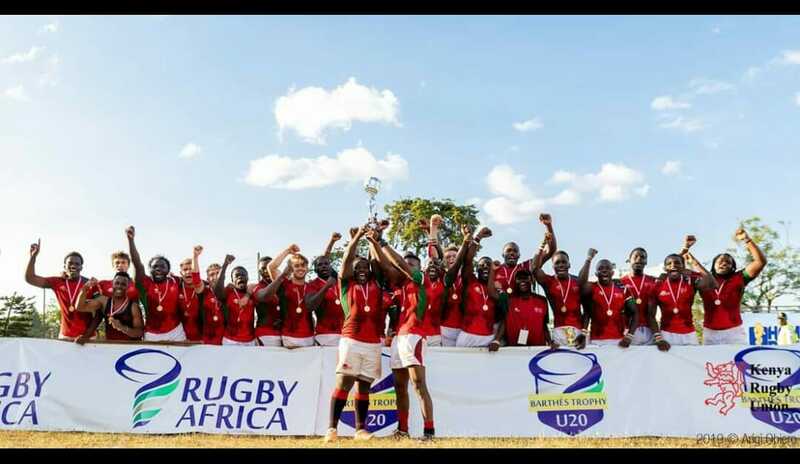 This after they beat arch rivals Namibia 21-18 in a nail biting final at RFUEA grounds. 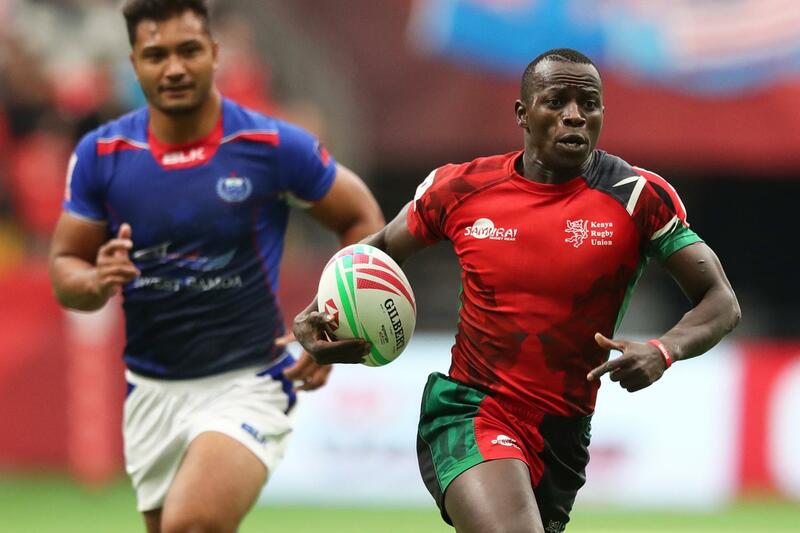 Kenya had earlier registered an epic 73-0 win over Tunisia in the semi-finals. The World Rugby Under 20 Trophy is the second tier of global youth rugby. This marks the second time Kenya has participated. In 2009, Kenya hosted the tournament and finished fourth after registering a shock win over the USA. The 2009 squad included players like Patrice Agunda, Lawrence Buyachi and Oscar Ouma. This year’s tournament will be held on July 9-21 in Sao Jose dos Campos, Brazil. Participating teams will include the hosts plus Uruguay, Portugal, Tonga, Japan and Hong Kong. Namibia broke the deadlock with two successfully converted penalties that saw Delron Brandt boot home the second penalty extending his side’s lead to 6-0. However, Chipu responded in a fascinating fashion as they became the first side to dot a try when Brian Amaitsa fended off a Namibian defender to sprint for the try line, but Dominic Coulson missed the extra two points after conversion went wide. 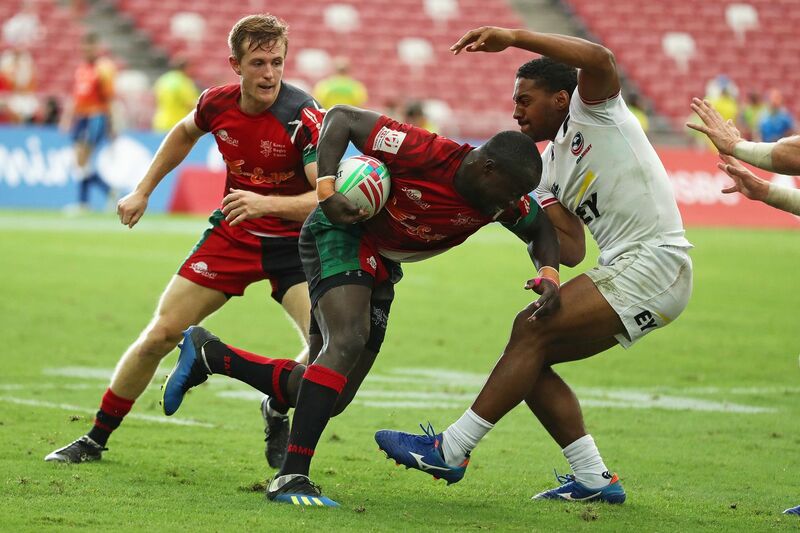 The try that saw the Kenyan boys reduce the points deficit to only one exited the huge fans who thronged the Lions Den to rally their support behind their home team. 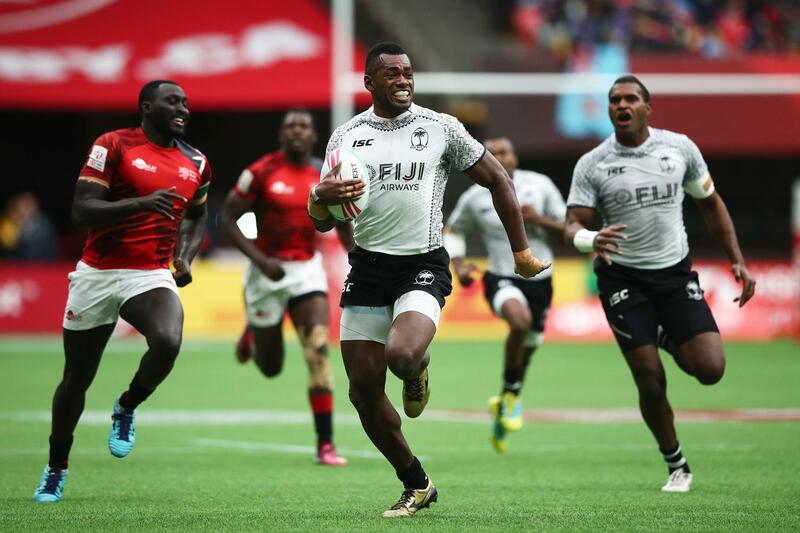 Odera charges could have taken the lead if they had utilized their golden chance they were handed after Namibia was penalized for a penalty, only for the kick to bounce off the posts. The Kenyan boys made the amends, with Michele Brighetti setting up Peter Ogeta with a wide pass before going over the whitewash for Chipu’s second try and hand Kenya a 6-10 lead despite Andrew Matoka missing the conversion and enjoy the 6-10 advantage at the break. On resumption, Namibia went over thanks to Shaun Van Wyk pushover try before they converted successfully to claim back their lead with only one-point separating the two sides as the score board read 11-10 in favor of the visitors. 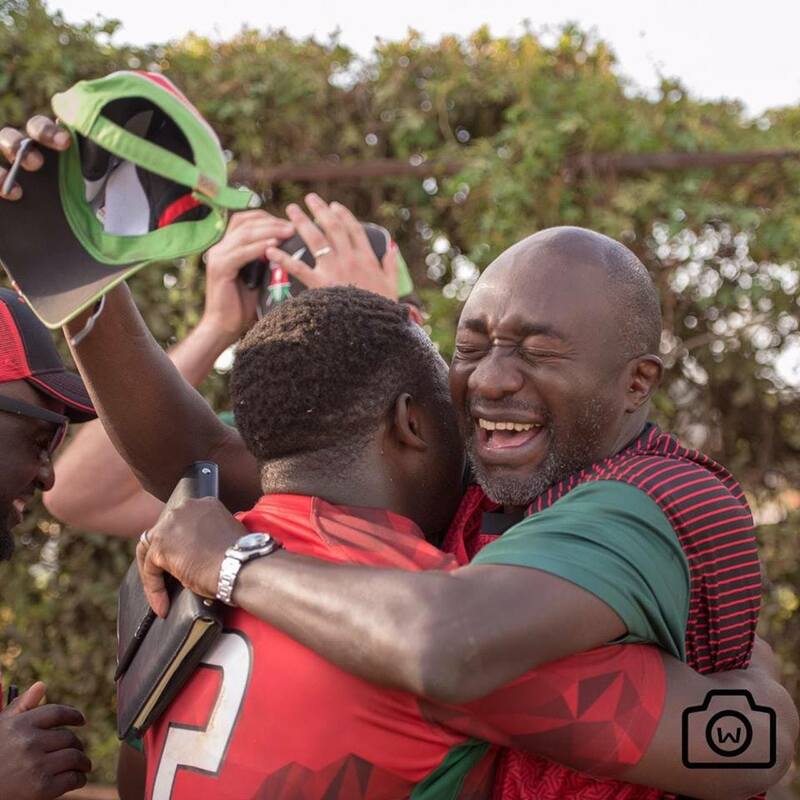 Matoka, who displayed a man of the match performance came to Kenya’s rescue once again after drilling home a penalty from 40m to take a two-point lead. Chipu were penalized for an infringement and reduced to 13 players to see Namibia handed a scrum that they utilized well to find a second try with the conversion going in and take a 18-13 lead. 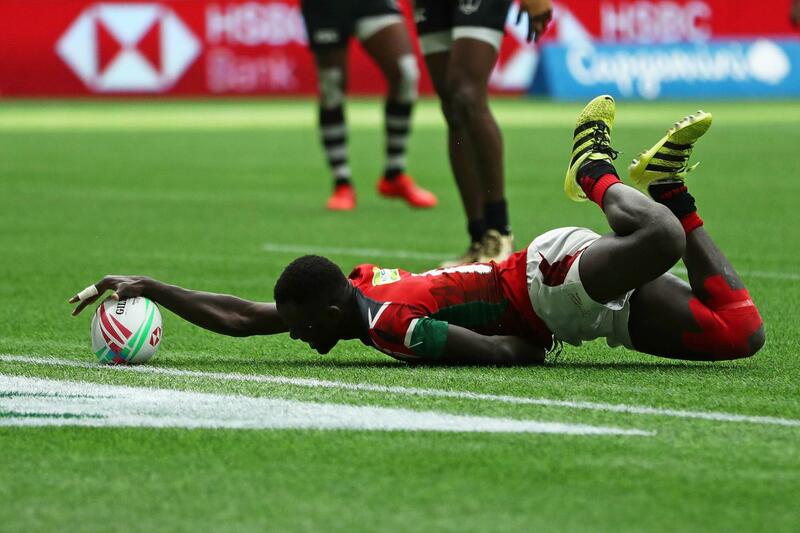 Kenya could not lose hope as they landed the third try that took matters to 18-18 draw after missing the conversion but a sigh of relief came by their side after they were awarded a penalty that proved the winner after successfully converting the kick. When France won the world cup in 2018, an incredible 65% of the squad was comprised of players who were born and grew up in the suburbs of Paris. These suburbs, known as banlieues, are primarily inhabited by poor immigrant families. They produce a disporportinate amount of the top footballing talent in France including Kylian Mbappe, Paul Pogba, Anthony Martial, N’Golo Kante, Kingsley Coman, Blaise Matuidi and several other players many of whom are now playing for countries like Senegal and Algeria. 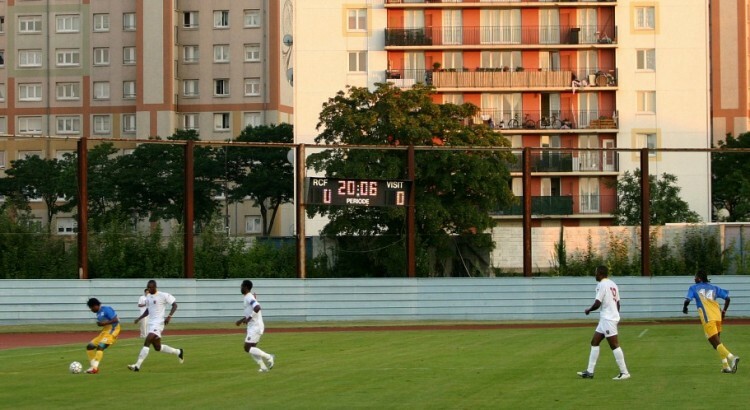 A key characteristic that enables the Banlieues to produce a lot of talent is the availability of wide open spaces and numerous football fields that dot the landscape. 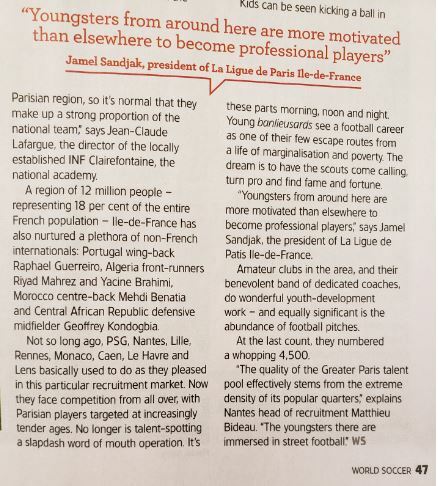 According to the article below from World Football magazine, there are a whopping public 4500 football fields in Suburban Paris. Yes thats 4500 ! And it does not include private football fields such as those that belong to schools and football clubs. Yours truly had an opportunity to fly into the Paris Charle De Gaule airport. Just in the vicinity of the airport I counted 8 full size football pitches as I looked outside the window. According to Anton Ricciardi, a local coach, the area produces the best players because the youngsters are always playing. As is well known, 60% of Nairobians live in slums. There is very little space for youngsters to play football. Kibera for example has only two standard size football fields that are available for the ;public. That is Laini saba grounds and the field at Undugu. And both of these are low quality fields with not a blade of grass. As such, aspiring youth have no spaces available to play and sharpen their skills. 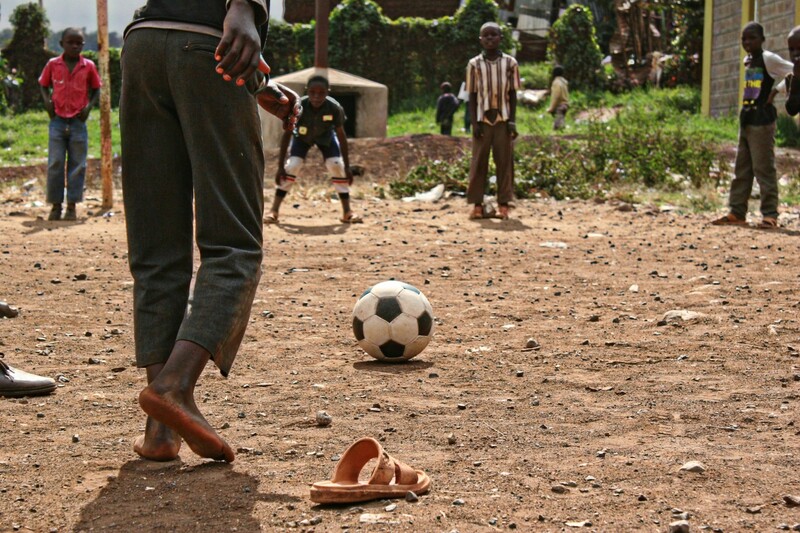 It comes as no surprise therefore that slums like Kibera produce very few good footballers even by Kenyan standards. Many reading this article will immediately think of Jesse Were, David Ochieng “Cheche” and perhaps Edwin Lavatsa. But when you consider that Kibera has 500,000 residents, you realize that it should be producing far more players. The city of Kisumu for example has fewer people than Kibera. Yet Kisumu produces far more international calibre players. Further to that, learning how to play football on a bumpy uneven surface does not provide the opportunity to learn proper ball control. In fact it re-inforces bad football habits. Football unlike Rugby, is an unnatural sport. This means that the movements and reflex actions required for football are initially unknown to the human brain. They have to be learned and memorized by the brain (muscle memory). And they have to be sharpened constantly. Therefore the best footballers tend to be those who started playing around age 6 or 7 and played consistently, on a daily basis throughout their youth. In addition, advanced ball control methods that are critical to being an international class player, cannot be learned on a bumpy ground like those as Laini saba grounds or by playing with a home-made ball made of plastic bags and paper as is the case for most slum dwelling kids. To put it plainly, unless Kenya focuses on creating more playing spaces and more fields in the neighborhoods, the country is doomed to more mediocrity. Hellen Obiri won the women’s senior race while Beatrice Chebet won the women’s U20 race. They were the only bright spots for Kenya. 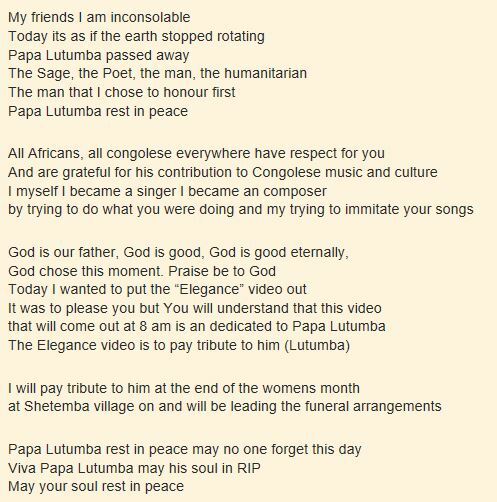 Lutumba Simaro, arguably the greatest songwriter in the history of African music, has passed away today (March-30-2019). Simaro, whose full name is Lutumba Massiya Simaro Ndomanueno, was 81 years old, having been born on March 19 1938. He passed away at 3 am in a Paris hospital where he had been hospitalized for the past two months. He was nicknamed Le Poete (the poete) because of the melody and depth of his songs, many of which describe the ups and downs of human lives but with a philosophical bent. In one of his last radio interviews, Simaro seemed content with what he had accomplished in life. “I accomplished my mission. Let others follow in my footsteps and do not borrow immoral ways. I consider myself a music teacher. What I ask young people is to ban insanities in songs and dance. We must not blindly mimic the cultures of others. We must be able to teach through music, ” said Simaro to Radio Okapi. Simaro is best known for the role he played within TPOK Jazz. There he was the Chef d’Orchestre, composer of several hit songs and an accomplished rythm guitarist. 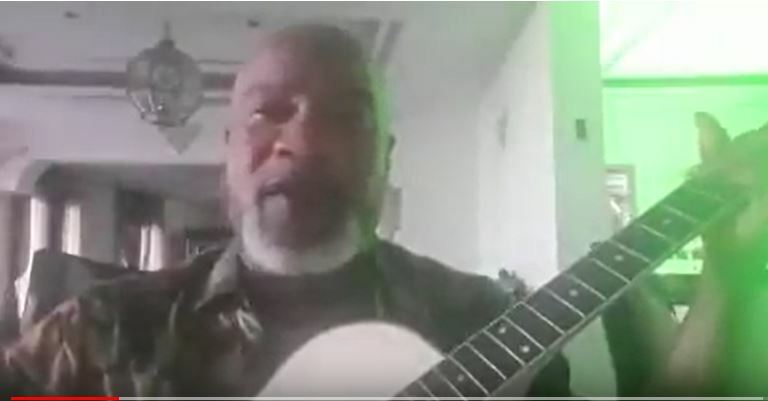 His musical career started in 1958 when he was introduced to Albert Kalonji, a Congolese guitarist adept at “zebola” (a possessed), a rhythm and a dance of the exorcism ceremonies of the Nkundu people of Equateur province in the Congo. In 1958, he joined Micra Jazz Orchestra. A year later, he joined Gérard Madiata’s Congo Jazz with which he recorded “Simarocca” (Esengo label), a title that went unnoticed. 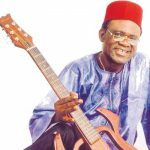 He became popular with two hist compositions: “Muana etike” and “Lisolo ya ndaku”, two spiritual songs. Soon after that, TPOK Jazz came calling and he joined in 1961. He remained Franco’s trusted liutenant until Franco’s death in 1989, upon which Simaro became band leader. 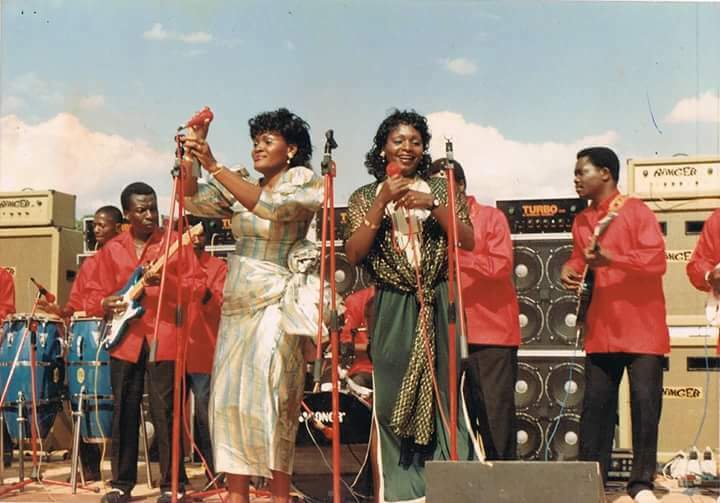 Following the dissolution of the band in the early 1990s, Simaro and other OK Jazz alumni formed Bana OK of which Simaro was the leader. A woman describes the aily difficulties of raising a family on her own. She comes from a poor family and earns a living as a prostitute. She has given birth to several children and their fathers have left her with the task of raising the children herself. 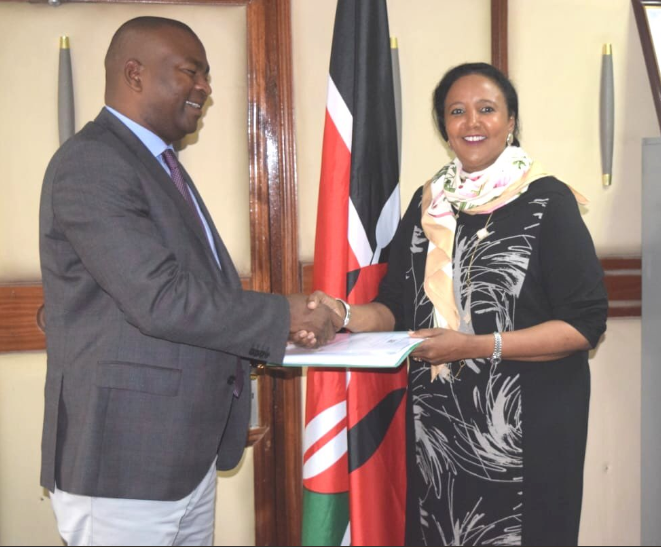 The dust has settled on the appointment of Amina Mohamed as the new minister for Sports in Kenya. That it was an unpopular appointment amongst sports fans cannot be gainsaid. Most sports fans did not understand the appointment given the fact that Ms Mohamed has never shown any interest in sports neither does she have any experience running any sports organization. Still she has an opportunity to prove her doubters wrong if she takes the following steps. More than likely, CS Amina Mohamed will be obliged to have a discussion with the elected leaders of the various sports federations and clubs. However most of these officials have vested interests that often are not for the betterment of the sport. Most officials typically vie for these positions in order to serve their own interests. To get a clear accurate picture of the problems plaguing the various sports and their potential solutions, MS Mohamed will need to engage grassroots people. This includes former players who have unselfishly dedicated their lives to the sports and who know what kind of reforms are needed. In football, there are people like Dan Shikanda, Sammy Shollei and William Obwaka, highly dedicated and well educated former stars who are still active behind the scenes. 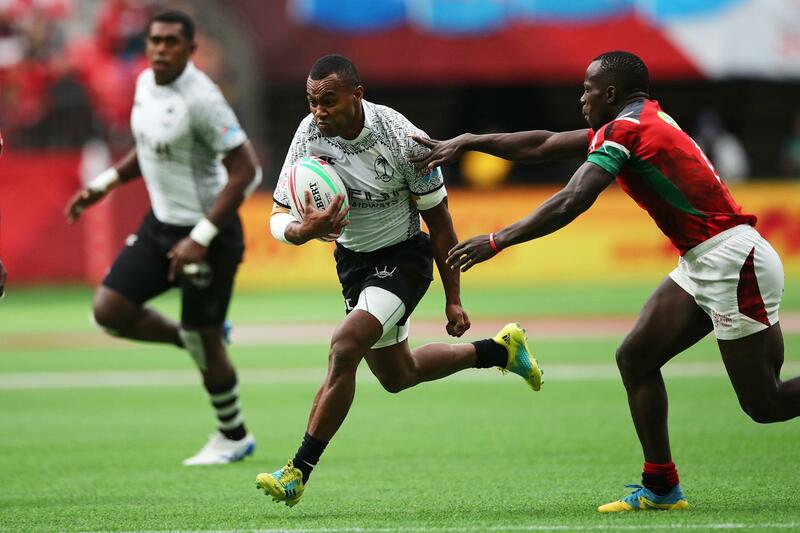 In rugby, the KRFU is largely responsible for the quagmire that the Kenya rugby sevens team finds itself in. If Ms Mohamed wants to understand the problems, she should start by speaking to former officials of the national team like Benjamin Ayimba, Innocent Simiyu and Tank Otieno, all whom have a good understanding of what is missing in Kenya rugby. Basketball is an excellent example of a sport that is on life support. The Kenya national teams hardly ever participate in qualifiers for events like the Africa cup or the All Africa games. And when they do, the shambolic organization and cash strapped federation makes the players travel inordinate distances by road. It is common for the national teams to travel to Rwanda by road, arrive on the day of a match and end up losing by 50 points to Rwanda. 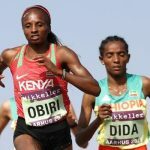 If Ms Mohamed wants to understand the issues plaguing basketball, she should talk to activists like Cynthia Mumbo as well as former players like Dennis Achiego “Dikembe” and Silalei Shani, the latter who was one of the best players in the national team but ended up retiring due to frustrations from the national federations. Without a solid youth development program, Kenya’s performance in team sports like football, basktball, volleyball and rugby will continue to be mediocre. Yet the club’s and federations cannot be counted upon to create any youth development schemes. The only way to nurture and develop players is through the school system. In the same way that academically outstanding students are funneled to schools like Alliance Boys and Alliance girls, the Sports ministry and the education ministry should partner together to identify talented youth in various sports and funnel them to sporting schools. Qualified youth coaches should be deployed at these schools to start nurturing and developing the players as soon as they join form one. There should be at least twenty such schools in the country, concentrated in counties that have an abundance of talent. For example, there is no point trying to develop football talent in Marsabit or West Pokot. Whereas a county like Nairobi should have at least three or four youth development centres. Further to that, Ms Mohamed must work to introduce sports like basketball, volleyball and rugby into primary schools. One of the reasons the standards of play are low in Kenya is because most players only start to play these sports in secondary school. This is a stark contrast to developed countries where players start playing and getting proper instruction as early as age seven. The earlier a player starts, the better he is going to be. 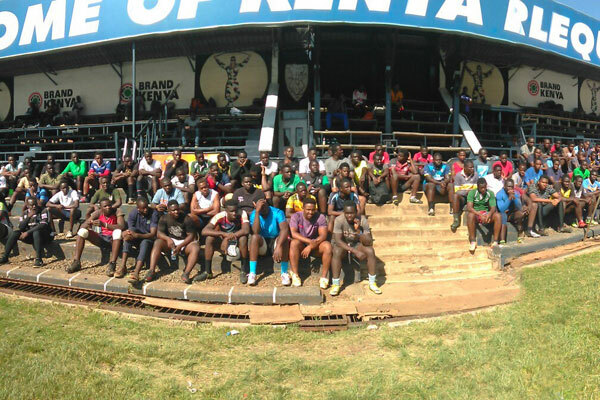 Much has been made about the lack of world class sporting facilities in Kenya. But an issue that is even more critical is the lack of playing fields in neighbourhoods. Playing grounds are rapidly being swallowed up by developers. The youth are increasingly be left with no fields to play on. And this does not just apply to football. It also applies to sports like basketball. The best players in sports like football and basketball tend to be those who play on a daily basis, sharpening their skills and instincts. If the youth have no fields to sharpen their skills then the future of sports is doomed. It is therefore imperative for Ms Mohamed needs to stop the trend of open spaces being swallowed up. She should work with local governments to accomplish this. But also partner with companies like Sportpesa and Safaricom to sponsor and develop playing fields. Providing youth with open spaces to play is also a good way to keep the youth busy and engaged in positive activities which will keep them away from drugs and criminal activity. Kenyan sports federations are badly in need of reforms. As mentioned earlier, officials who are elected by delegates are not accountable to the public and often go into these positions with ulterior motives that have nothing to do with developing the sport. But the federations cannot be reformed without the acquiescence of the global governing body be it FIFA, IOC, IAAF or the IRB. With FIFA it will be difficult because FIFA is deadset on preventing governments from interfering in the running of their organizations. And the FIFA president is dependent on the votes of each federation which is why they protect even the most corrupt. However Ms Mohamed will find that other global bodies like IOC and IAAF are willing to listen to her reform initiatives. The biggest stumbling block to development of sports in Kenya is poor leadership. Reforms are needed so that our sports federations are run by accountable and competent people who are on performance contracts instead of the current system where federations are led by officials elected by delegates. A classic example of this is the National Olympic Organization of Kenya (NOCK). As of 2016, this organization was receiving millions of US dollars in sponsorship from Nike and most of the money was going into the pockets of officials and almost none of it was going to much needed activities like providing training facilities, hiring coaches and preparing athletes for competition. As we speak, Nairobi city stadium has been closed for several years with no re-opening date in sight. Progress at Nyayo stadium is as as slow as molasses. The same applies to other facilities like Kipchoge Keino stadium. There are no stadia in Kenya capable of hosting a tournament like the Africa nations cup. 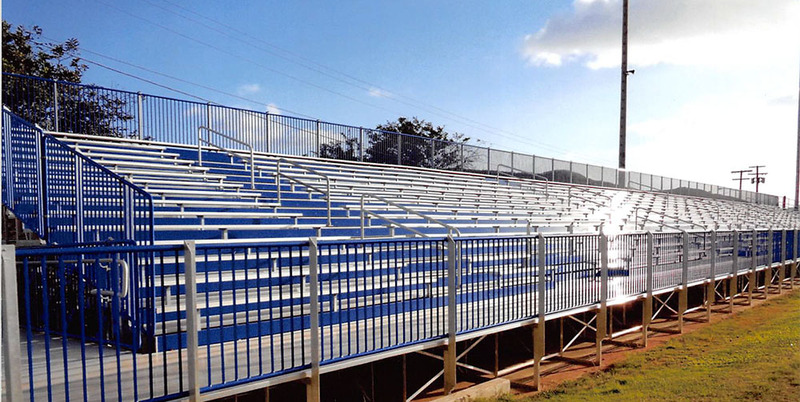 Most Kenyan stadia were constructed during the colonial days and have seen very little improvement in terms of seating capacity or facilities. The best path forward is to partner with the private sector and seek sponsorships of stadium. Let the private companies that sponsor the stadium, take over management of the stadium. Left to stadia management, the sponsorship money will end up being embezzled by officials. Ms Mohamed should also seek sponsorship for smaller fields such as Woodley stadium in Kibera which is badly in need of an upgrade. Terraces like these can be imported and installed for around Ksh 10 million. 6. Enforce the Sports Act. The sports act came into effect in 2013, thanks largely to Minister Ababu Namwamba who was sports minister for a very short period yet accomplished a lot more than his predecessors and successors. Since it came into effect, its impact has not been felt. One of the institutions that was created as a result of the Sports act is the Kenya Academy of Sports which was launched to much fanfair by the then sports minister Hassan Wario. But it has not accomplished much. Is the academy properly funded? Are the officials properly trained in Youth development? We call upon Amina Mohamed to once again consult with reputable former players and those with technical knowhow to chart the best path forward for this institution. Again discussing such issues with elected federation officials is not a useful endeavor because most are incompetent or bent on selfish agendas. When Amina Mohamed was appointed sports minister, sports fans in Kenya who have suffered for a long time were horrified. This is because since this cabinet position was created, it has always been given as a token to people to whom favors are owed. Most occupiers of this cabinet position are typically people with little interest in sports and therefore incapable of being visionaries. And Amina Mohamed appeared to most to be the most egregious example of this since he has never even been seen at a sporting event. Its too late to complain about her appointment so all sports can do now is hope that she will prove all the naysayers wrong. Indeed Amina Mohamed has an opportunity to restore her legacy which was ruined by her tumultuous tenure at the ministry of education. If she can accomplish the items on this list, she will leave an excellent legacy in a ministry where none of her predecessors have covered themselves with glory. If she accomplishes nothing, it will be stain on her own legacy and also more crucially a stain on the legacy of the man who appointed her. 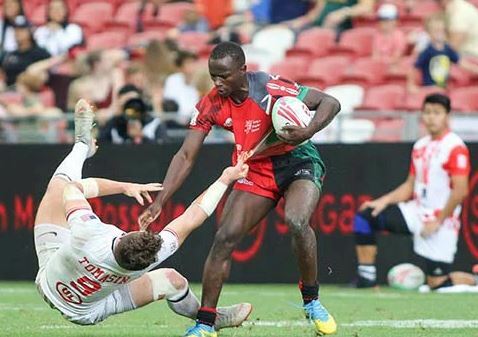 Kenya’s performance at the 2019 Canada sevens is perhaps the worst in the history of Kenya sevens. 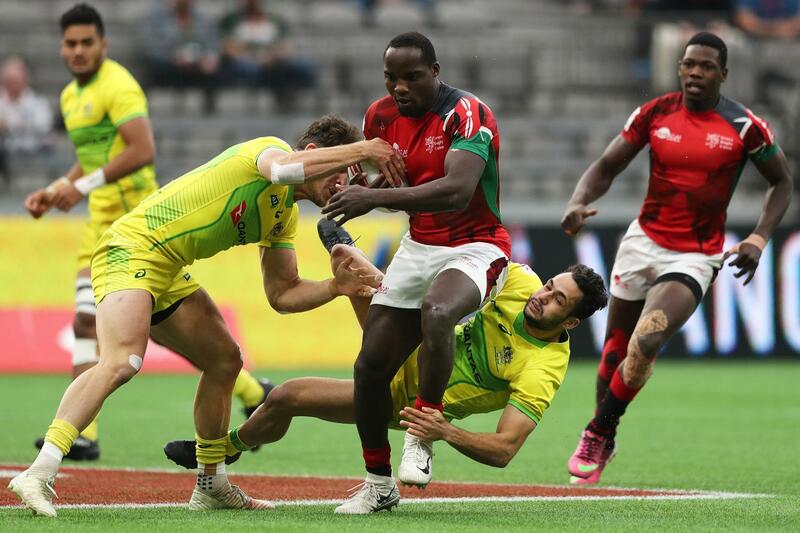 Aside from the fact that Kenya was fielding a team of novices who had no prior IRB series experience, the distinct lack of fitness was evident. 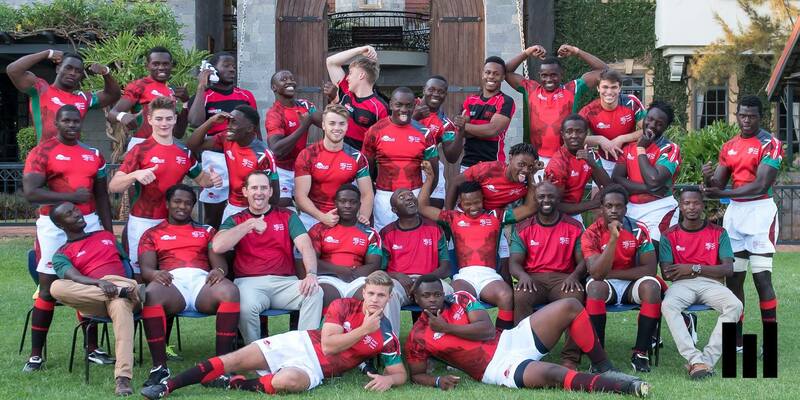 Because of all the shambles surrounding the Kenya team in 2019, most of these players did not undergo pre-season conditioning. And their lack of fitness was glaring especially when the team had to play in back to back weekends.